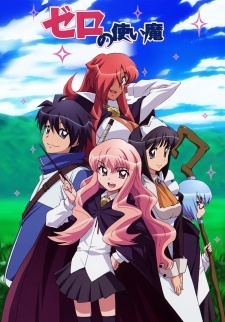 Louise is a magician at the Tristein Academy, dubbed with the nickname "Zero Louise" due to her inability to effectively use her magic properly, resulting in zero successes. An upcoming test at her academy requires her to summon a familiar, a servant and partner to support her as a magician. Despite desiring a familiar that would be superior to her constantly mocking classmates, Louise ends up summoning Hiraga Saito, your average Japanese boy. Even with Louise and Saito both unwilling to accept each other, they have no choice. Louise cannot attempt another summoning and Saito cannot return to Japan, and so their life together begins. Based on the novel by Noboru Yamaguchi.